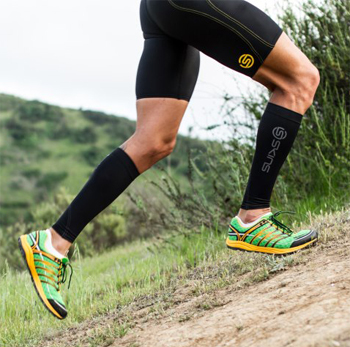 SKINS Compression was the first to market with gradient compression technology in North America over seven years ago, after being started in Australia in 1996. Now, SKINS is the world's leading gradient compression sportswear brand, offering products designed to help athletes reach their peak performance within their specific sports and levels of activity. 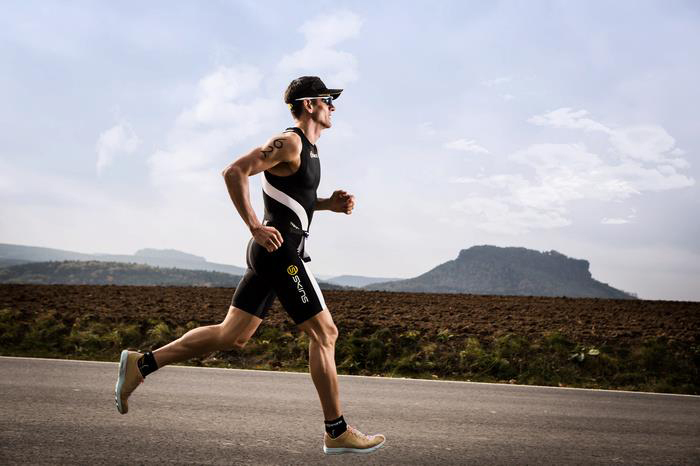 SKINS’ technology-driven compression garments are specifically designed to maximize performance and the company’s products have become a key factor in promoting active recovery from the start, whatever the sport. SKINS is proud to announce the company’s recent relocation of its U.S. headquarters from Portland, Oregon to Encinitas, Calif. “to be at the heart of the active culture and marketplace in California.” This, on the back of its recent hiring of a industry veteran Johnny West as the new General Manager for SKINS USA. We recently spoke with Johnny, who is responsible for leading the SKINS North America team and for planning and implementing strategic brand & marketing initiatives to maximize brand awareness at both the retail and consumer levels while overseeing company growth across the US. 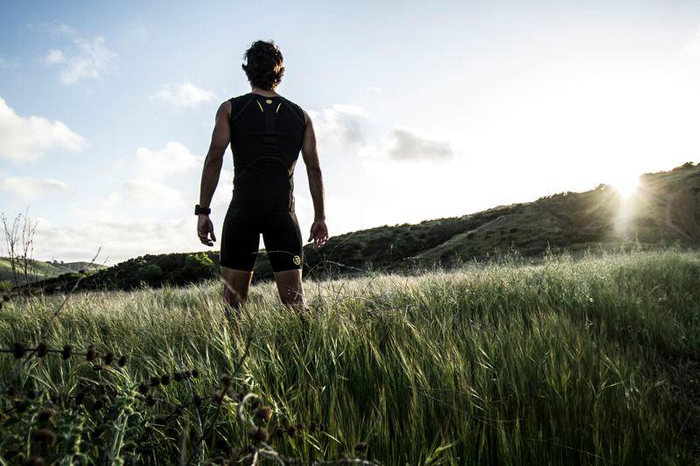 SKINS compression clothing is the world's most advanced range of sports compression wear for performance and recovery. What exactly are SKINS and how does compression clothing work? SKINS is the leader in gradient compression technology. Gradient compression technology has a higher medically graduated rating at the ankle or wrist and lower at the waist or shoulder to enhance blood flow and venous return. If you remember spending time in Biology class, the arteries are what flow out to the capillaries and take fresh blood out to the muscles. The capillaries then return it back to the veins and the veins return it back to the heart and other organs to be cleaned. So, what we do is enhance the venous return. We are taking that lactated deoxygenated blood and returning it back to the organs to get cleaned so that it gets back to the muscles faster. That increases performance and endurance while reducing fatigue and damage to the muscles. This is one of the benefits. Muscle containment is another benefit that reduces the oscillation of vibration, or the side-to-side movement we experience when we’re active. If we can reduce that muscle oscillation, we can increase the performance of the muscles – increasing the output in terms of wattage, meaning what the muscle is able to generate and thereby reducing the vibration and consequently reducing the fatigue the muscle is experiencing. Now, we increase blood flow with clean, fresh oxygenated high-red blood cell count blood and reduce the oscillation of the muscles and the result is you have muscles that will perform longer, better, faster and stronger that they otherwise would without a pair of SKINS on. What was the initial inspiration in creating the compression clothing technology? It’s based all on medical fact and science. Compression technology has been used for decades, if not for over 100 years in the medical industry. ACE bandage was considered the first rudimentary piece of compression technology. Since then, it’s evolved dramatically. Anytime you have a surgery, or even something as simple as spraining an ankle or wrist, what do you do? You wrap it in a graduated fashion and when you have surgery, you're given medical hose. For example, if you have knee reconstruction surgery of any sort, they’ll put a medically graduated hose onto your leg that’s very scratchy and not very comfortable. So, we took that same philosophy and applied that to products for sports with fabrics that are very comfortable and very breathable yet still have all the same benefits, this was really the true inspiration behind the product. Wanting to enhance the athlete’s performance has been our mission from the start. We say we want to change the world one pair of tights at a time. Can you share any significant milestones that represent success to the evolution of the company? Since our product was initiated nearly eight years ago we became the first gradient compression brand in the US and we were first in Australia, therefore being the first brand globally to introduce this technology. Our science is second-to-none and we’ve just now launched a new category called dynamic gradient compression which allows the athletes to have the garments that are the most technologically advanced on the market – because they have now been developed and measured on athletes that are active. Dynamic gradient compression is new within the last twelve months. Every other brand uses a static measurement, a non-active measurement. This is our A400 collection, and that means there has been 400 points at which the body has been measured while active to create this newest garment. Is this the latest gear available from SKINS? Exactly, the A400 is the newest and our highest end product. We also have the A200, which offers gradient compression, and that’s the same type of technology that every other brand out there has. So, if somebody just wants to have a little bit of a better price-point product featuring the same technology as the other brands then they can purchase our A200 collection. But, if they want the most up-to-date and technologically advanced product, the A400 collection is the way to go. There’s no other product in the marketplace like it. You recently moved into new offices in Southern California from the Pacific Northwest – why the move? Yes, we have successfully moved from Portland to Encinitas - I am currently sitting in our new office overlooking blown-out waves here at Moonlight Beach. A few things inspired the move. For one, because the brand is next-to-skin base layer, we’re constantly compared to Nike or Adidas or Under Armour and with Nike and Adidas both being located in Portland, we wanted to get out of that shadow and continue to emerge as the category leader of gradient compression technology and we wanted to build our own brand rather than continue being compared to the other brands. Also, on any given weekend nearly 10,000 cyclists will roll through Encinitas and we are also now in the hub for the endurance sports community with more triathletes and runners training in this area than any other part of the country. And, regarding our partnerships with NFL guys to NBA and NHL guys, they are all coming out to Southern California now to train on their off-season. Being in California gives us the ideal location to reach out to all of the different communities that embrace SKINS’ products. Can you speak in a bit more detail on the facilities there in Encinitas – are you equipped with research and training facilities? Encinitas is solely a sales & marketing offices for North America. All of our product development is done in Australia, in our offices in Sydney, or at our global headquarters in Switzerland. Opening the new office was really just the icing on the cake; it truly was the final part of the next evolution of this brand. Can you speak on the growth of SKINS on the international front? SKINS continues to grow by leaps & bounds every year. As gradient compression technology continues to grow worldwide and people look at SKINS as the worldwide leader with the best-in-class products, they want to continue associating themselves with a brand that will help them reach those performance levels they are going after. In Australia, we have the lion’s share in that market and we continue to grow in other markets around the world. SKINS has taken the last 18 months to really revamp the entire management team within SKINS brand and have waited until now to relaunch the new SKINS management structure here in the US. I joined the team just under three months ago. In that time we have also hired a new marketing team, have revamped our operations team, and we’ve brought in a new customer service. All of this with the aim to offer the best service in the market to complement our products to really challenge the average or mediocrity and be the leader in this category in the USA as well. You currently have a job opening posted on Malakye, are you looking to continue growing the staff here in the US office? Now, looking towards the future – can you speak on any other up-and-coming innovations or technologies in development? Sure, as we have developed the A400 category and really are establishing that as the next evolution and the newest technology on the market, we’ll start to now look sport-specific and will look into what products we can develop that target sport-specific markets. We have a very focused target into the endurance sports with running, cycling and triathletes, into the cross-fit community, into skiing and snowboarding as well as our team sports and our partnerships with the NFL or as the official recovery partner of the St. Louis Blues, Dallas Stars, San Jose Sharks and Anaheim Ducks. Can you go into more detail on the athletes and teams that SKINS works with to continue developing the latest and greatest in gradient compression technology? 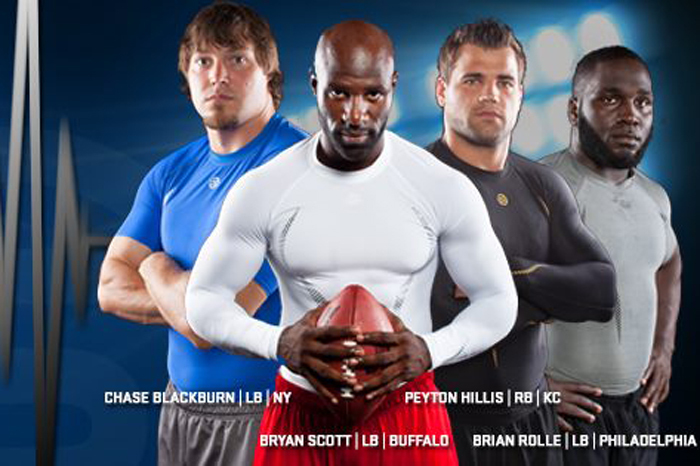 Our four officials SKINS ambassadors are Bryan Scott, Chase Blackburn, Peyton Hillis and Brian Rolle from the NFL. We also work with every NFL team and have many more football players that are not official ambassadors that wear our products. The great thing about that is we continue to get amazing feedback from each and every one of these guys who are putting their bodies under extreme pressures and challenges. We come away with a great range of information - from a 6’7” 320-lb. defensive lineman on down to a 5’6” 175-lb. running back - and all body sizes in between. It really helps us to refine our fit and ensure that our products stay on the cutting edge. Equally as important are the triathletes. Leanda Cave is the Ironman World Champion and she is a huge fan of our products. Talk about putting your bodies under amazing duress, going over 140 miles in a race. Leanda trains in our products and wears a number of pieces while she is racing. And then, ultimately, she recovers in our RY400 recovery type, which then helps her to get back on her feet sooner to continue training. She attributes the use of our products as one of the key reasons for why she won the world championships last year. Do you see any room for improvement with your products? Absolutely, there is always room for improvement even if it’s just continuing to improve and refine our fit. For the women’s specific category, we’ll look to come up with more products that are really geared at helping women achieve their performance and fitness goals – that is going to be a big initiative of ours. Internally, we want to continue to challenge the average, it’s not acceptable for us to be average as our products aren’t average. In-house, we’ll give above average service. Our product development team will look for above average opportunities. We’ll also continue to drive to maintain our leadership role in this category. Would you care to add anything we may have missed? We are excited to have this next chapter of the brand take place. It’s now been seven years of steady business with a few minor blips here & there. The future is definitely bright for the brand. The new team we have here, from the marketing team to our finance & operations guys and all the way down to our sales team, is pretty incredible. Thank you for your thoughts Johnny. For more on SKINS, head to skins.net and find them on Facebook, Twitter & Instagram.